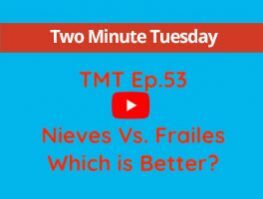 TMT Ep.53 Hondon de las Nieves Vs. Hondon de los Frailes….. Which is better? One of the most commonly asked questions by clients looking to move to the Hondon Valley is which is the better village and why? So in this weeks episode 53 of Two Minute Tuesday we let you have answers to the many questions you have about the Hondon Villages. If you have any questions regarding buying or selling properties in the area, please do not hesitate to contact us on the details below and we will be happy to come and have an informal chat with you. On this weeks episode 54 of TMT we go back and look at all the episodes that are important to you as a vendor. A must see episode if you have your villa for sale or are thinking of selling your villa in the future.